Nic Moore has found a new college basketball team to suit up for. Moore, a former star player at Warsaw Community High School, will play with Kansas in the World University Games next month in South Korea. Moore, who just finished his junior year at SMU, joined Kansas on Friday for preparations for the upcoming World Games. Moore joined coach Bill Self’s team to bolster their backcourt, which was shorthanded due to injuries, for the upcoming trip. Moore, a 5-9 point guard, had an outstanding junior season for coach Larry Brown’s SMU squad during the 2014-15 campaign. He averaged 14.5 points and 5.1 assists per game, while shooting 41 percent on 3-pointers. Moore was the 2014-15 Player of the Year in the American Athletic Conference and an honorable mention All-American pick by the Associated Press. SMU won the AAC regular-season championship and the conference tournament title this past season. The Mustangs finished at 27-7 after a 60-59 loss to UCLA in the NCAA Tournament. It was the first NCAA tourney appearance for SMU since 1993. The 54 wins the last two seasons for the Mustangs are the most in a two-year period in program history. Moore led coach Doug Ogle’s Tigers to a 2010 Class 4-A state runner-up finish his junior season at WCHS. He was then an Indiana All-Star and runner-up for Mr. Basketball honors as a senior in 2011. He ranks second in WCHS boys basketball history with 1,891 career points, trailing only Kevin Ault (2,028). 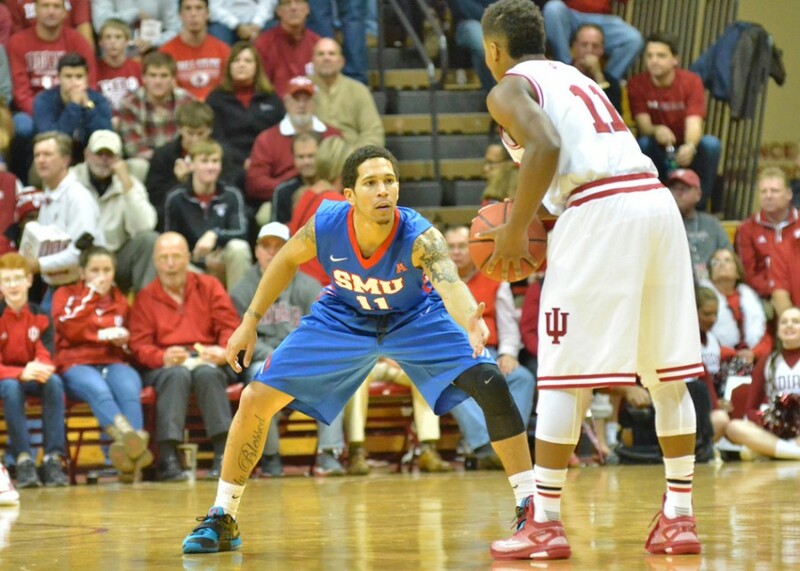 Moore spent his freshman season at Illinois State before transferring to SMU. Moore and the Jayhawks will host Team Canada in exhibition games June 23 and 26 in preparation for the World Games. The team will leave June 28 for South Korea and is scheduled to play five games in pool play action versus Turkey, Serbia, Brazil, Chile and Switzerland. The World University Games, which will involve 24 teams, is set for July 3-14 in Gwangju, South Korea.